Château Prieuré-Lichine, a large 4ème Cru Classé Margaux estate, is one of the most fragmented in the Médoc with as many as 40 separate parcels of vines scattered throughout the Margaux appellation. 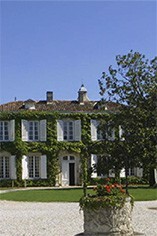 Prieuré-Lichine was purchased in 1951 by the great Bordeaux visionary Alexis Lichine - he improved the quality of the wines through investing heavily in new vineyards and by modernising the vinification techniques. He died in 1989 and the estate is now run by his son Sacha, with guru oenologist Michel Rolland acting as consultant. Prieuré-Lichine has 68 hectares of vineyards and the wine is typically a blend of 55% Cabernet Sauvignon, 40% Merlot, 3% Petit Verdot and 2% Cabernet Franc. It is matured in oak barriques (40% new) for 18 months. 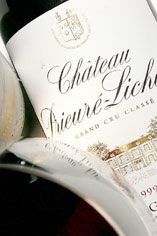 Prieuré-Lichine's relatively high Merlot content gives the wine suppleness and elegance with the wines from the best years possessing a beautifully perfumed nose with a firm structure and good depth of fruit on the palate.